When the winter is coming we need to take extra care of our skin. 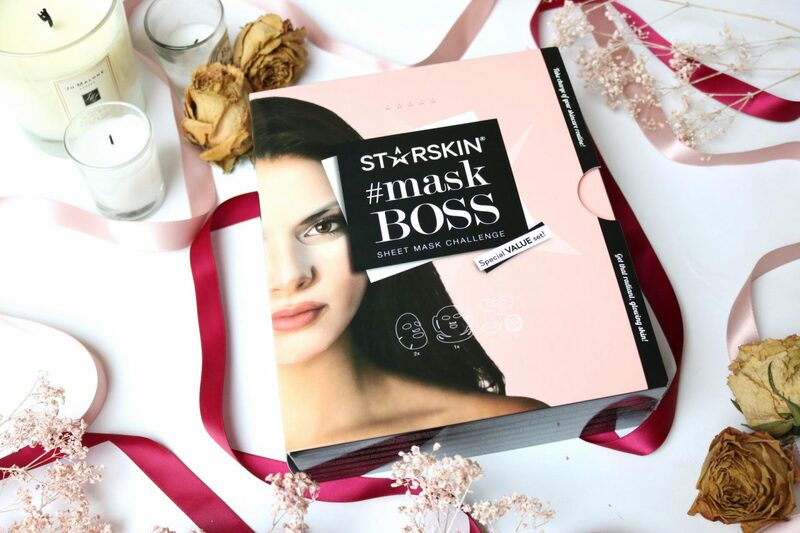 Thanks to Starskin I had amazing skin within 7 days with the Starskin #MaskBoss Challenge! Sometimes we need to challenge ourselves and our body to see if it can prove within a short amount of time. When I struggle with dry or flaky skin it can take 2 weeks before my skin is back to its normal condition. The challenge was to use a Starskin product everyday for 7 days and to see what the results were. I’m familiar with Starskin so I had high expectations! Let’s see if it worked for me. 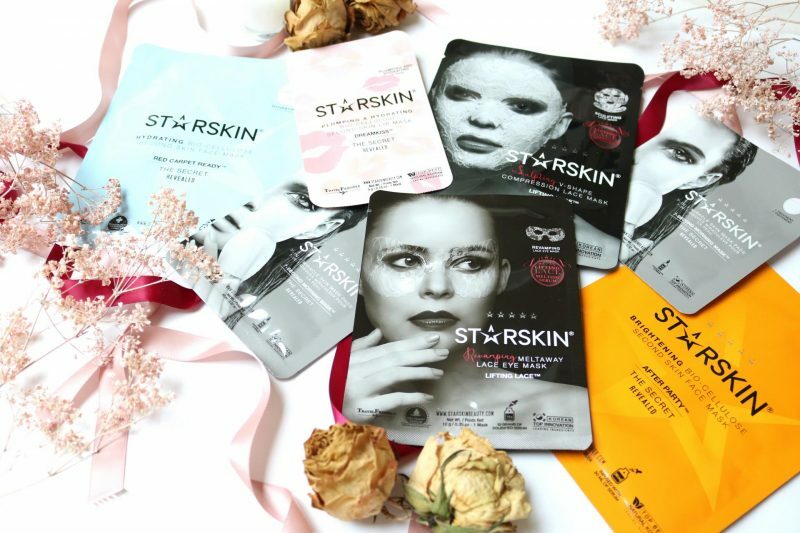 Treat your complexion to the STARSKIN Maskboss Face Mask Set. Combining multiple face and lip masks, the skincare collection delivers multiple benefits, including combating uneven tone, targeting signs of fatigue and providing anti-ageing properties. Housed in a gift box. Ideal for prepping skin before a special occasion, the mask deeply hydrates, smoothes and rejuvenates skin. 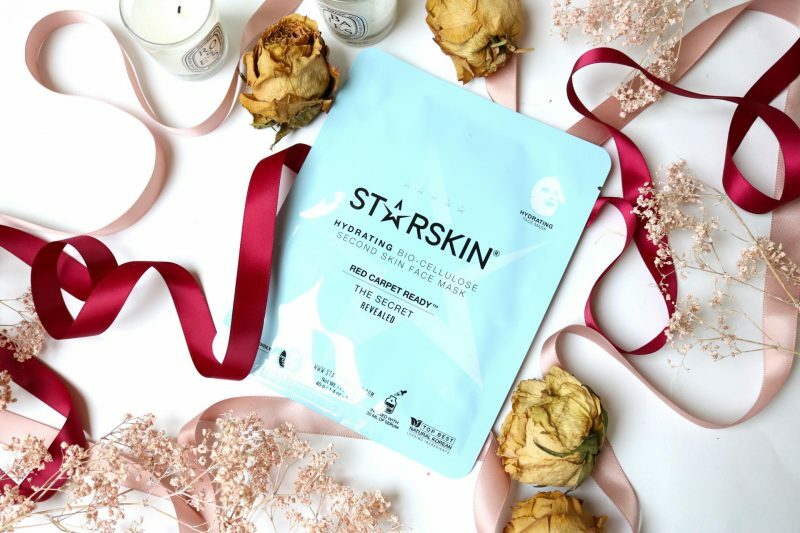 Utilising STARSKIN’s exclusive Bio Cellulose, the treatment infuses skin with a conditioning blend of Amino Acids and Brown Algae for anti-ageing benefits. Expect a soft, moisturised and glowing complexion. The Red Carpet Ready belongs to their famous range of bio cellulose masks. The Starskin masks I’ve tried out all had these really thin material which feels like a second skin. The serum is all soaked up in the material and transfers everything into the skin. After wearing the sheetmasks for about 20 minutes I noticed how super hydrated my skin felt like. The left over serum on my skin made it felt like a moisturizer. I didn’t need anything else on my skin that time because my skin loved it. After about 10 minutes my skin was all dried up and I could start with my makeup routine. Ideal for busy lifestyles, the dual-texture pads are able to massage, exfoliate and tone skin using one side, whilst the other side functions as a serum, moisturiser, leave-in mask and primer. The front of the pad boasts an array of massaging and exfoliating beads that slough away dead skin cells, whilst the back of the pad is soaked with a powerhouse cocktail of skin-boosting ingredients to deliver long-lasting moisture and hydration. These pads are one of the most easy masks products I’ve ever tried. Just pop your fingers into the pad, make circular motions and your skin is ready! I wrote a review about it because I was so mesmerizes by the quick and fun concept. You can all read it here. Formulated with naturally fermented, Vitamin-rich Coconut Juice, the mask closely follows the contours of the lips with a skin-tight fit, delivering an innovative serum that is absorbed into the skin. A blend of Sea Fern, Collagen and Hyaluronic Acid instantly work to plump lips and improve the appearance of fine lines and wrinkles. Also the lip masks are super fun that I wrote a review about (because I love Starskin). I do have to say that I expected more of the lip masks but it will give you more results after you used it several times. Just check out my review to know more about it. 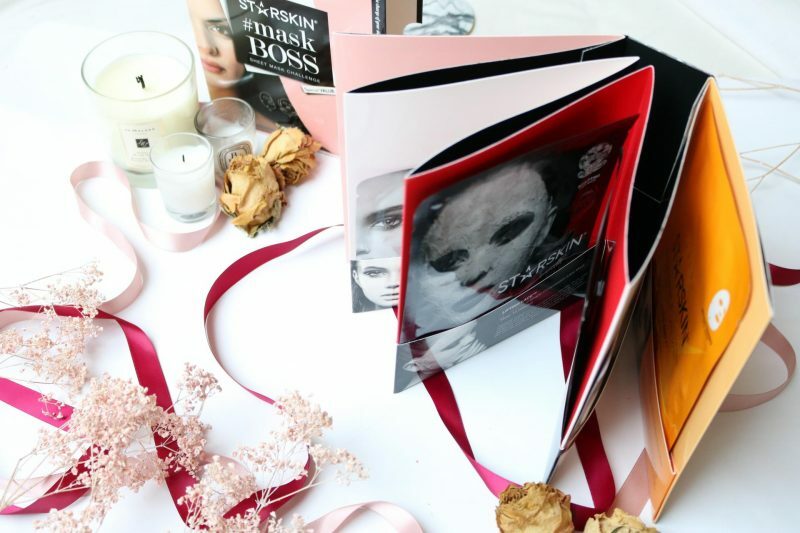 An elegant lace sheet mask that sits securely on the face and works to simulate a natural face lift. Woven with breathable, stretch cotton fibers, the mask delivers a tightening effect that transforms sagging skin. Drenched in a waterless serum, enriched with an array of anti-ageing, sculpting actives that work to target loss of elasticity. This mask was so much fun and pretty! I was surprised by how comfortable the mask was on my skin. The only downside was that the loops around the ears was not fitting well and it felt a bit weird. But I understand that this part of the mask was needed because they will support the V-line of the jaw. I had so much fun when I was wearing this mask, even the boyfriend thought it looked crazy. Ofcours the crazy me had to take a weird instastory to share my experience with you. I love the idea behind the mask and it made my skin fell amazing but it was not that my skin or jaw looked more sculpted, this will happen maybe after you used it multiple times within a short time. But I think the most important thing with this mask is the experience! Perfectly adhering to the delicate eye contour, the unique treatment offers the world’s first waterless lace mask, inspired by medical science and compression treatments to deliver unparalleled results to refresh and lift. The mask has been intricately crafted from ultra-fine, stretchable cotton gauze that’s saturated in a slow-release gel concentrate, instantly infusing skin with a host of beneficial ingredients to sculpt and redefine. A beautiful addition next to the Lifting Lace face mask: a matching Lace Eye Mask. 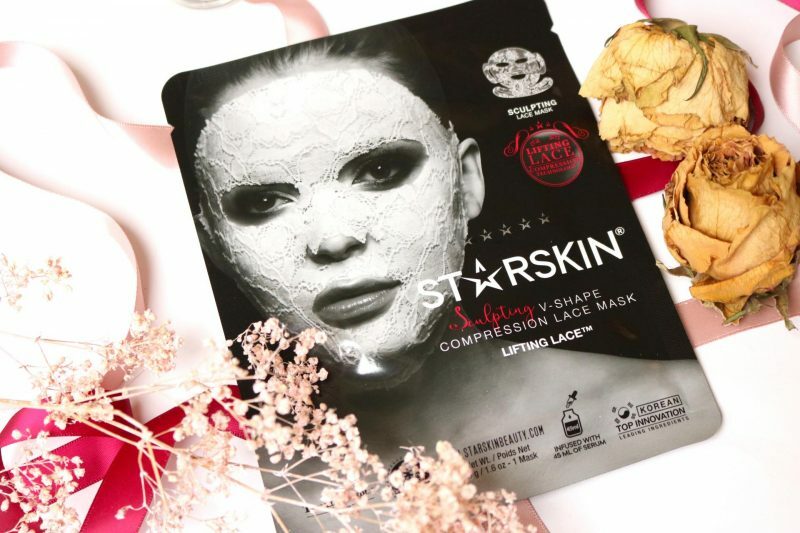 This time it is a little bit different because the material has a gel texture, different from the Lifting Lace face mask which is made of real cotton fibres. I experienced a little tingle sensation around my eyes but no irritating feeling. I don’t really understand the concept of a sculpt and redefined eye area, maybe for older people. But for me it didn’t have any benefits otherwise than a hydrated and soft skin around the eyes. The second time I used it in my 7 days challenge and still loved it! I think it works even better after you take good care of your skin or in combination with other Starskin products. I wrote a review about it. You can all read it here. 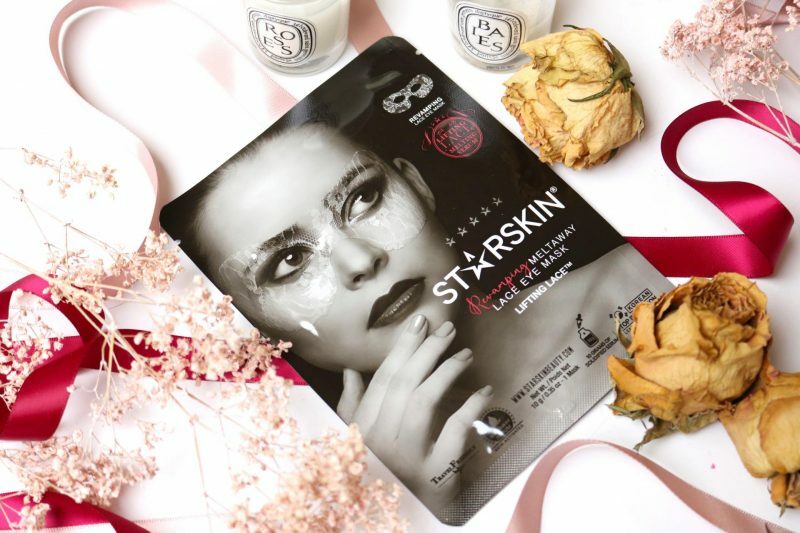 The transparent, cooling sheet mask delivers a boost of Vitamin C, which works to improve the appearance of dark spots and uneven skin tone. Skin-brightening Cowslip and firming Mallow Extract leave you fresh-faced and prepared for the day. Dull, tired skin is brightened and illuminated after use. 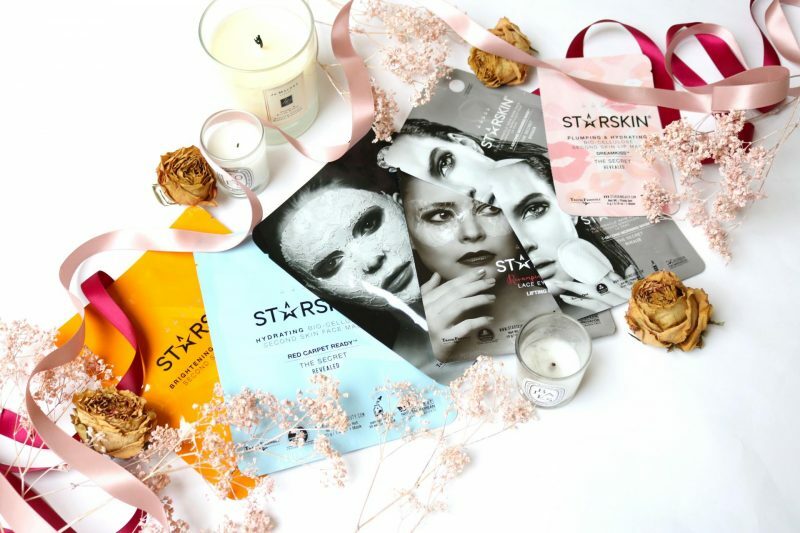 The last day of the challenge we’ll end with one of my favorite Starskin products: their bio cellulose face masks. These face masks are super luxurious. I own a few of them and I only use them when I have a special occasion. They are on the expensive side compared to other sheetmasks brand but the difference if huge in their material AND performance. Personally I love Starskin because they have so much serum in their sheetmasks. Even when you remove your mask from the sachet there is still plenty of serum left to cover your neck and chest. 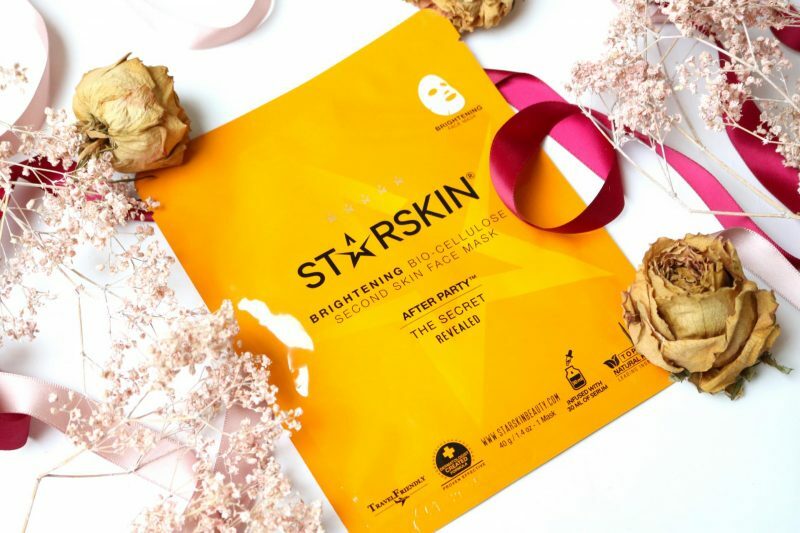 The After Party mask is a great mask to end the challenge because it brightens the face and mask the skin glow! When you use Starskin products for 7 days straight you will notice how amazing their products are and what kind of impact they make on your skin. 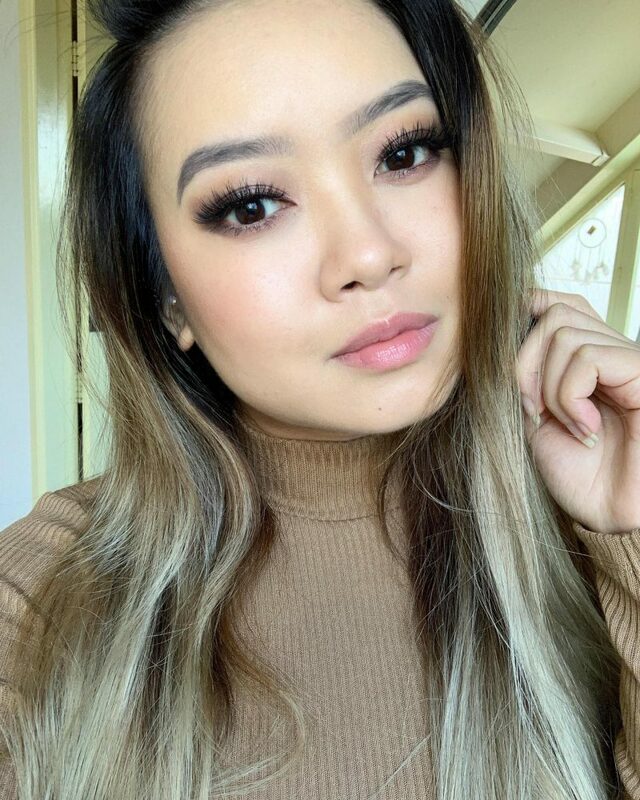 I could instantly notice after 7 days how smooth my skin felt. Especially during these colds days I was battling with dry patches around my mouth and eyebrows. My pores were really visible around my nose and red spots on my cheeks. All of these things were tremendously improved after the challenge with Starskin. Dry patches were gone and red spots were almost invisible. Out all of their products I tried during the #MaskBoss challenge I liked their signature bio-cellulose mask the most. These sheetmasks makes my skin feel hydrated, calmed, even and perfectly prepped for the they. They never disappoint me and the results are instantly visible. 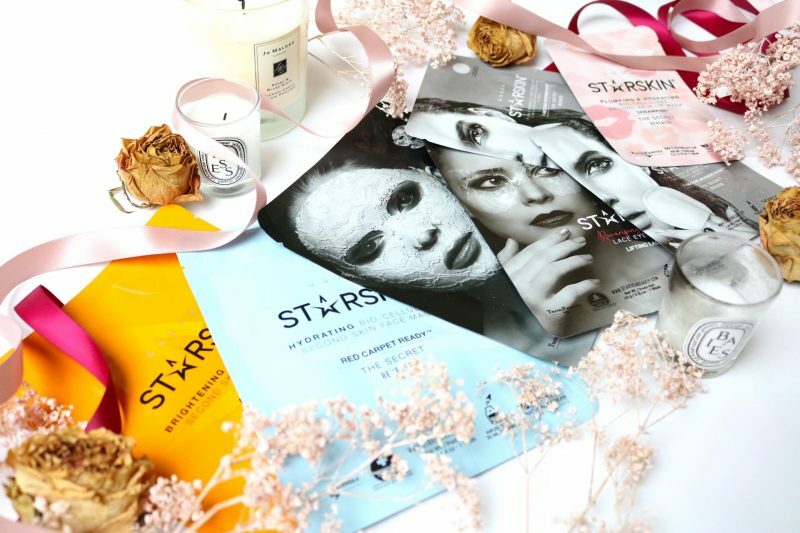 I know that there are plenty of other companies out there who also have great sheetmasks and perform the same like Starskin, but they have just a special place in my heart when I started blogging. I’m a true fan of them! Are you? Next Post Christmas is coming soon with The Body Shop! Hahah ik moest zo lachen om dat tweede filmpje met dat muziekje eronder!